Have you lost most of your income because of Hurricane Sandy? If you live or work in those counties in New York, New Jersey, or Connecticut that have been declared disaster areas by President Obama, you may be eligible for federal Disaster Unemployment Assistance (DUA). DUA aids individuals who do not meet the requirements necessary to receive regular Unemployment Insurance Benefits (UIB) although they lost employment as a direct result of a disaster such as Sandy. In addition to employees who do not qualify for UIB, individuals who are not considered employees for purposes of UIB, such as those who are self-employed or farmers, may be able to receive DUA if they lost income as a direct result of Sandy. Even individuals who had been scheduled to begin a new job, but never started their employment because of Sandy may be eligible for DUA. In addition, if an individual became the head of a household because the bread winner died as a result of Sandy, she or he may be eligible for DUA. DUA is a federally funded program designed to help individuals whose loss of income was directly caused by a disaster. A few examples of situations that may cause you to be eligible include (1) an injury resulting from Sandy that makes you unable to work, (2) damage to your workplace that prevents you from working there, and (3) inability to travel to your workplace as a result of Sandy. Although DUA is a federal program authorized by section 410 of the Robert T. Stafford Disaster Relief and Emergency Assistance Act, 42 U.S.C. § 5177, and governed by regulations promulgated by the U.S. Department of Labor, it is administered by the states. To learn more about DUA in your state you can go to your state’s website by clicking on the following links: New York, New Jersey, Connecticut. If you think that you may be eligible for DUA, you should file a claim with the appropriate state. Although the destruction caused by Sandy may make it hard for you to file quickly, it is important to file as soon as possible because the deadline to file is December 3. If Sandy destroyed necessary documents or made them inaccessible, file now so that you do not miss the deadline. After you have filed you can work with the agency to document your claim. We at Abbey Spanier, LLP send our heartfelt prayers to all who have suffered in this disaster. Generally an individual must live or work in a disaster area to qualify for DUA. 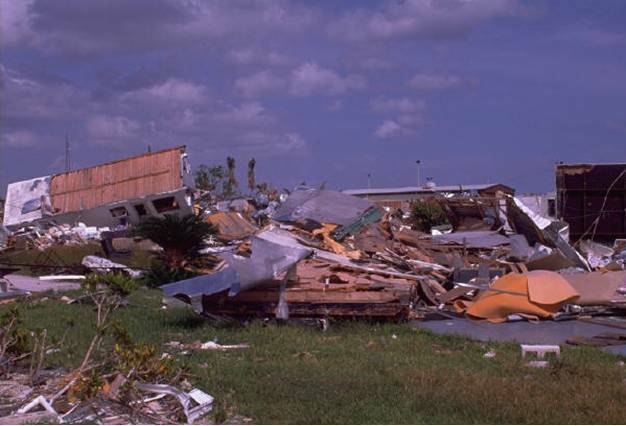 However, there are limited exceptions in the event that an employer or self-employed individual received a “majority of its revenue or income from an entity in the major disaster area that was either damaged or destroyed in the disaster, or an entity in the major disaster area closed by the federal, state or local government in immediate response to the disaster.” 20 C.F.R. 625.5(c)(3). In addition, individuals who cannot reach their workplace because it requires traveling through the disaster area may be eligible for DUA.